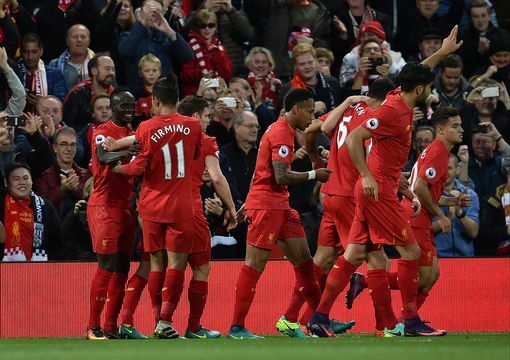 We beat West Brom 2-1 on Saturday evening at Anfield. Mane and Coutinho put us 2-0 up at the break, but an 80th minute Gareth McAuley strike led to a nervy final ten minutes. GK – Loris Karius – 7/10 – It remains hard to judge Karius. West Brom only had one shot on target and it ended up in the back of the net. There was nothing Karius could do about it. LB – James Milner – 7.5/10 – What else is there to say about Jimmy Milner? Composed as ever, worked as hard as ever. Good performance. CB – Dejan Lovren – 8/10 – Denied a second goal of the season by a great save from Foster. Easily dealt with WBA’s aerial threat. CB – Joel Matip – 8/10 – Like Lovren, he was never bothered by WBA’s high balls. Looks better and better with every game. RB – Nathaniel Clyne – 7.5/10 – Much more involved than he was against United on Monday night. CM – Jordan Henderson – 7/10 – Didn’t do anything of note going forward. Turned in a solid defensive display. CM – Emre Can – 8/10 – Can’s best performance of the season so far. Still looks a bit short of fitness, but another run out against Spurs on Tuesday should help. CM – Adam Lallana – 8/0 – Lallana capped his 100th game in a red shirt with a fine performance. AML – Phil Coutinho – 8.5/10 – Played a huge part in the opener and scored a lovely second. Partnership with Firmino looks more dangerous with every passing game. AMR – Sadio Mane – 8/10 – Mane looked like the player he did a month ago after a couple of quieter performances recently. Scored the first goal. Gini Wijnaldum – 7.5 – Unlucky not to get a late third as he curled just wide. Divock Origi – N/A – Played the final one minute.